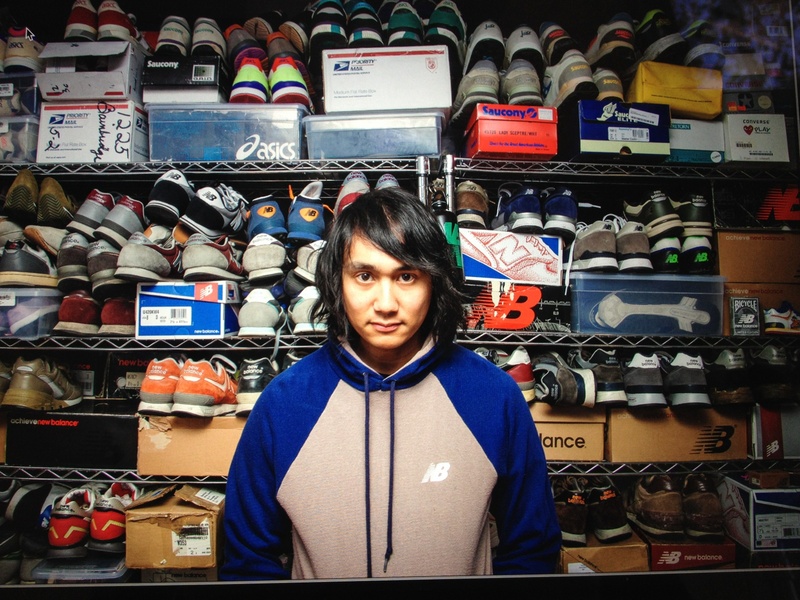 For our second mini interview, we spoke with someone who we will never ever tire of listening to, or reading articles that he’s featured in, because Richie Roxas of @newbalance365 is one pretty cool guy! Over the last year or so, Richie has been featured in more and more interviews, and it has been an absolute joy to check them out, and if you haven’t already done so, then I suggest you head to his Instagram account and find the posts with links to them. You will not be disappointed. 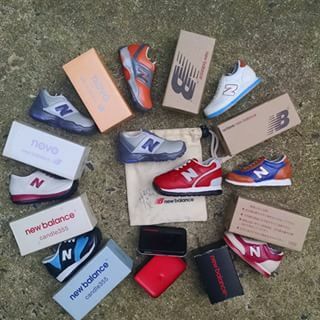 A real wealth of knowledge, and extremely passionate about all things New Balance. Anyway, Richie hails from Philadelphia in the USA and has been collecting New Balance for over 20+ years, and has one of the best New Balance collections out there which consists of everything from vintage, to general release, to collaborations and to little New Balance related knick-knacks. We asked him five questions, so if you’ve got a spare 10 minutes, sit down and enjoy! 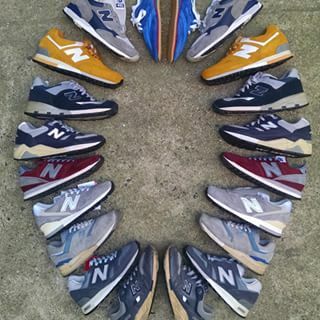 Who are you and what got you into collecting NB? I’m Richie Roxas from Philadelphia, PA. I’ve been collecting sneakers of all brands for 20+ years, but I was drawn to NB for many reasons. I liked that it was sort of an “underdog” brand in the 90’s. NB was mostly associated with old white guys and serious runners and athletes. It was cool to take something with that status and flip it to a young, rebellious, and slick 90’s teenage look. A pair of NB’s coupled with some baggy carpenter jeans or cargo pants, a Nautica rugby top, and a fitted hat, was a great urban look back then. Of course, the excellent comfort and construction were important too. 2. 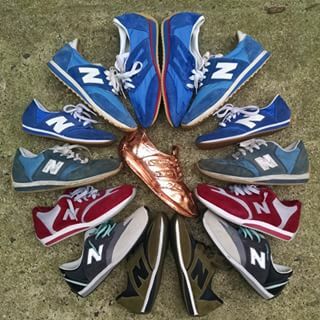 Out of your NB collection, which is your favourite pair? This is impossible to answer. I have to pick just one pair? Geez…I might have to go with a good ole general release 1300CL. I have four pairs. It’a shoe that must be in my collection at all times. It’s perfect. Grey with a hint of steel blue, super comfortable, slightly casual looking. The minty laces are the cherry on top. 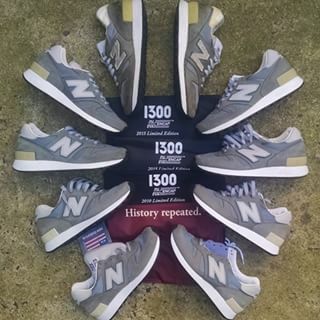 I bought my first pair of 1300 at the NB outlet in Boston around 1997. The few people that were into NB’s back then and had the chance to visit that particular outlet in the 90’s, can understand the magic of that place. It was made in USA NB heaven for dirt cheap prices. Walls of 576’s, 998’s, 999’s, 580’s, etc. Bins full of jackets and hoodies and factory mess-ups. If only I had snapped some pics back then. In my head, it was just a brand and a scene that only me and my friends cared about. 3. We know you like to collect everything and anything NB, all the little knick-knacks included, so what is your favourite piece of memorabilia? I love the Enduring Performance book that my friend Bryan gave me for my birthday one year. It’s a super limited hardbound book from 2006 (NB’s centennial year.) Bryan works for Puma and through his connections was able to snag me a copy. 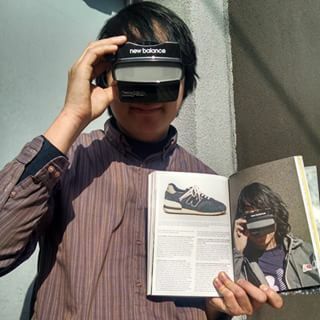 Another favourite is the NB Viewmaster. My friend Justin sent it to me from Ohio. 4. 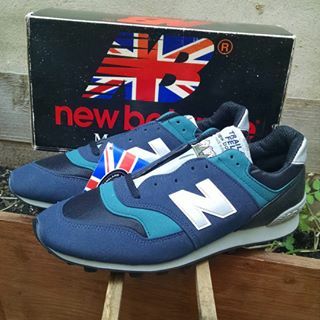 You have a keen interest in vintage pairs, so we’re eager to know your thoughts on the “Re-Engineered” side of NB? I really like the direction that NB is going with the re-engineered stuff. I’m eagerly awaiting more updated versions of older models, more hybrids, and more colorways. I think taking timeless classics and modernizing them is a fantastic approach to staying relevant. Some of these shoes might prove to be future classics and one hit wonders. 5. If you could get any model(s) reissued/reintroduced, what would they be? NB have reissued almost everything that I’ve ever wanted to be reissued. I think there’s a few gems in the back catalog that could be awesome: 640, 676, 677, mt555, 1450, trail and fell, just to name a few. 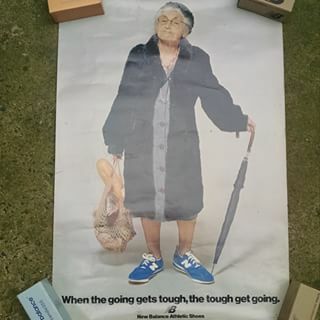 I’d love to see the return of the little NB logo that was on a lot of women’s models in the 80’s and 90’s too. Thanks to Richie for taking the time to talk to us, and be sure to head over to his Instagram @newbalance365 and drop him a follow, always such great content, whether it’s New Balance or some of the many other brands he collects.